How close does The XFL come to giving this team an "Oiler" type name? I have seen some of these names suggested online and on Houston media. All of them Oil related. The XFL can take a combative approach with the NFL and try and brand their team as close to being The Oilers without actually naming them as such. When The CFL expanded to the states, they tried to name their Baltimore franchise, The Colts. It didn't really work out. There was a stretch where they were called The CFL Colts, before being branded as The Stallions, which is pretty closely related. They even went with similar colors. The Stallions did well in the CFL. They drew decent crowds. They averaged 33,000 per game in two seasons. Which was the best in the entire CFL. They actually won the Grey Cup and became CFL champs in 1995. The NFL decided to come back to Baltimore as a result and that basically ran the Stallions out of Baltimore. 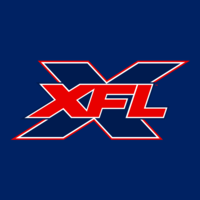 The XFL is in a unique position of potential team branding in two NFL abandoned areas. St. Louis of course, and the death of the beloved Oilers in Houston. Your Baltimore comparison is good. Still, I wonder if the XFL will want anything close to the NFL? We will see in due time. One name that is rumored for XFL Houston is the Generals. Here is a logo from the Greensboro Generals, which was a East Coast Hockey League team from 1999-2004. The logo still is good for a mock logo as the star would represent Texas as the "lone star state", and the G stand for Generals. I like the idea. Wildcatters is great and unique. Doesn't roll well off the tongue. I like Drillers too. Lean into it without being too on the nose. Instead of a Derrick as a logo, maybe a drop of oil. Do a little what the Titans did with playing around the old colors. Go navy blue as a main but with the light blue and red as accents. I could see a uniform with the light blue helmet, red mask, navy blue oil drop logo. Navy jersey with light blue and red striping. Light blue pants with navy and red striping. Lawsuit waiting to happen but cool name nonetheless. A Roughneck is also "Oiler related" and could end up being the team name. Love the term "too on the nose". The XFL can try to be sneaky with it by masking their color scheme, to look like an updated version of the Oilers. The Adams family estate and lawyers are probably waiting for the XFL to reveal their team name. As a side note, it was just an awful decision not to work out for the Houston Texans to use the name Oilers. Texans is a bland name. There are so many fond memories for people that don't even live in Houston of the Oilers. I'm not a lawyer, so I don't know what's legal and what's not. The NFL was still using the Colts name, so that might have been a different situation? A more contemporary comparison might the Connecticut Whale, a Hartford Whalers-inspired AHL team and now NWHL team. Is there anything stopping the XFL from coming out with the Houston Oiler or Houston Oil? I'm on board with them just naming the team the Houston Oilers and risking the lawsuit. The publicity would probably be worth the court costs. More importantly, it's just a great brand that ought to still exist. Football deserves the Houston Oilers. As they say "any publicity is good publicity." Especially with a startup league. I'd be all in on the Oilers, Generals or Gamblers.